Before the thick black clouds of smoke billowed from the International Trade Center into the blue October sky above the city center, it was a beautiful, sunny day in Saigon. The rainy season was over, which meant no sudden downpours soaking the streets, and the air was filled with cool breezes. Khai Dinh, then a young DJ, drove his motorbike onto the sidewalk and parked at the front of the six-story building. It was a few minutes to 1 p.m., and he was feeling great. The night before he and his girlfriend had thrown a birthday party for his mother, and he was excited about playing some new music in the bar upstairs for the crowd that night. His music career had been taking off: Khai Dinh was playing at one of the hottest nightclub venues in town - the Blue Disco on the second floor of the International Trade Center (ITC). Behind him in the street were office workers returning from their lunch breaks. Saigon was just starting to feel the first touches of modernization stemming from a decade of Vietnam’s “open door” policy. Foreign companies had flocked in, and more and more people were working for transnational corporations. English was the hottest skill in demand. Downtown Saigon in 1968. Photo by Jeff Bickerton, via Flickr/manhhai. Crystal Palace, locally known as Thuong xa Tam Da, in a picture taken by Rodger Fetters between 1967 and 1968. Photo via Flickr/manhhai. Standing at the junction of the three biggest streets in the city - Nam Ky Khoi Nghia, Le Thanh Ton and Nguyen Trung Truc - the ITC was a symbol of the transition. The first floor was full of luxury stores - mostly jewelry for locals and souvenirs for tourists. The second floor housed a night club owned by an American-Vietnamese businessman named Paul Nguyen; the two floors above it were occupied by 49 local and international corporate offices. The top deck was taken up by a restaurant. All were originally packed into a war-time four-story structure before it was renovated and expanded by two more floors to meet the need for space. The building was named Crystal Palace when it was constructed in 1968. Khai Dinh wasn’t in a hurry. He passed the Blue Disco on the second floor and walked straight to the bar management room on the third floor to say hello to the owner and staff. The venue was undergoing some renovations anyway; they were putting thicker soundproofing on the walls, and it would have been messy and noisy. Instead of fleeing, the then 26-year-old ran back up to the five people sitting in the management room. But by that time, the blaze had already taken hold and the stairway – the only exit from the six-story building – had turned into a chimney, sucking up the plumes of billowing smoke to every corner of the building. The alarm went off. Hundreds of people poured out into the hallways to flee from the offices upstairs and the shops downstairs. Mark Gillin had been in Vietnam for almost 10 years when he sat down in a café on Nguyen Trung Truc Street on October 29, 2002. Starting out selling spare parts for ferry engines in 1993, the American businessman took up capital investment a few years later as Saigon grew from a post-war semi-open city to a vibrant commercial hub. Gillin was waiting for his Vietnamese teacher who was supposed to arrive at 1 p.m. It was the end of October and the weather was wonderful; but when he glanced out of the window, the clear sky of a few moments before was heaped in dark clouds. A few steps away, a curling column of smoke emitted from the renowned trade building. Someone yelled “Fire!”, and everyone in the café got up and rushed outside. Bystanders formed crowds on the street, watching the thick, black plumes in bewilderment. From the ground floor, shoppers, store owners and office workers streamed out of the main door, their only exit. 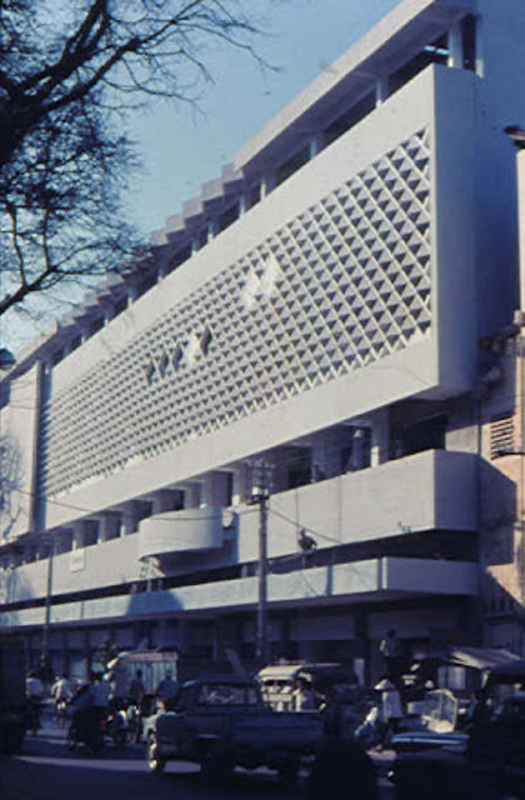 The large blue exterior of the building, which was completed during the peak of the Vietnam War in 1968 and probably designed to deter any potential attack, now appeared to be blocking those inside from escaping. It was reportedly the last day of a training course being run by U.S. insurer American International Assurance. Around 140 young employees attended, while others were working in the adjacent offices. They had just woken up after their lunchtime nap. But within the course of about three minutes, things changed. Gillin saw more people come out, jostling for space on the small area at the top of the building. The pleasant breeze that day was helping to fuel the fire and the acrid smoke engulfed them. 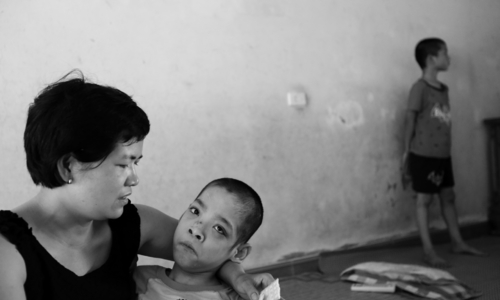 When Khai Dinh scrambled to the roof, he noticed around 15 others had joined him. They were all calm and relieved. But their relief was short-lived. It took them a moment to grasp the picture: they had made a deadly decision. The metal roof they were standing on was getting hotter by the second, and the smoke was coming up too. “The fire was climbing up the building under our feet,” he said. A file photo shows the International Trade Center was engulfed by fire from afar. They started to run in circles trying to find a way down. The smoke became unbearable. Their feet were literally being grilled. Spotting a large water tank on a corner of the roof, Dinh jumped in, but then the water itself started to heat up. Not wanting to be boiled alive, he climbed out but slipped and fell. 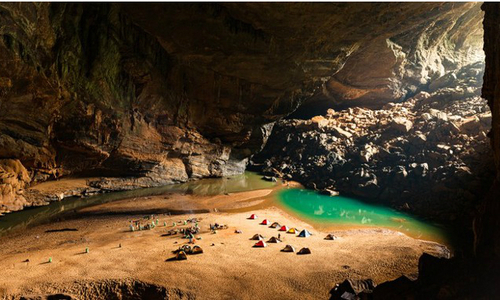 “The skin on my palms, my back and then my legs stuck to the burning corrugated roof,.” Khai Dinh recalled. The horror unfolded before Gillin and other stunned onlookers on the ground. Filled with fear and toxic smoke, the stranded victims started to jump, hoping to make it to nearby roofs. The ITC bordered two streets with two-to-three-story houses. Victims fell 10 meters (33 feet) and more, breaking legs, arms and their bodies in the process. File photos by VnExpress capture the chaos of the blaze and its aftermath. "I was very scared,” one hospitalized woman later recalled in an interview with Reuters. “I thought I was going to die standing up there. I couldn't breathe so I just jumped and let it be." She survived the jump with a broken leg, but six people were reported to have died from the fall, and several others were paralyzed for life. It was only then the bystanders began to realize how deadly the situation had become. Men rushed to catch people who had just landed on the roof of an adjoining shop, and ladders were soon scaling the walls. Hours later when he got home, Gillin discovered that his pants were coated in soot so thick that “they felt like a plastic bag”. In fact, news reports of the inferno said most of the victims died from smoke inhalation. “We could see many hands waving at us from the balcony and hear people screaming for help,” one fireman said of his most haunting memory. “Then suddenly a gust of wind blew and the columns of black smoke rising from the building blew back on the trapped victims." All the screams just stopped. When the smoke cleared, there were lifeless bodies hanging on the balcony. Firefighters arrived around 15 minutes after the inferno started, but chaos and confusion, even helplessness, persisted. Having never dealt with such a big fire in a tall building, the team’s inexperience and outdated equipment held them back. Among the 400 firemen reportedly at the scene, few had gas masks and some were wearing rubber boots normally used to walk in wet or muddy ground. They brought three ladders with them, one of which was made from bamboo and could only reach the third floor. “We had never experienced such a big fire in a complex structure,” added the now major. "It was like our 9/11." The water supply went on and off over the following hours. 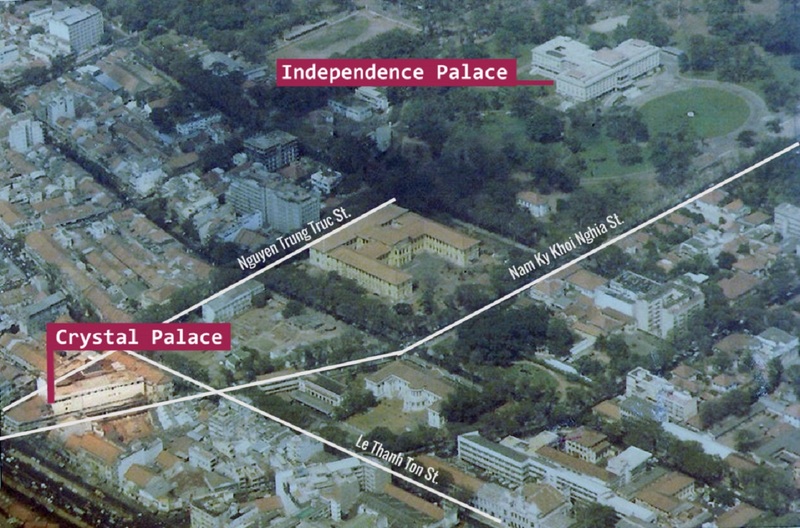 Nearby pre-1975 fire hydrants quickly ran out after the first few pumps, and firefighters were forced to resort to pumping water from the Independence Palace and Saigon River blocks away. “There were times I thought of giving up,” said Colonel Le Tan Buu, the fire team leader. 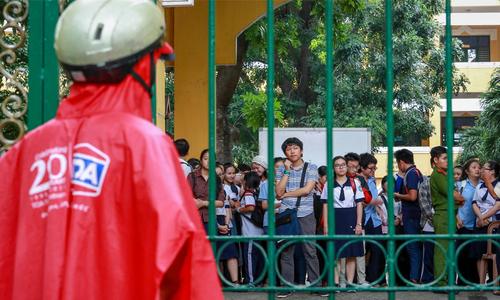 “It took us 30 minutes to connect the hoses to the palace hydrants and pump the water out, and the blaze was just getting fiercer,” said Buu, who is now the director of the Ho Chi Minh City Firefighting Department. The inferno was eventually extinguished at midnight. According to official figues, 60 people were dead and 90 were injured. Most of the victims were young, and many of them were fresh graduates who had been attending the training course that day. The AIA insurance company lost 23 employees in the disaster. 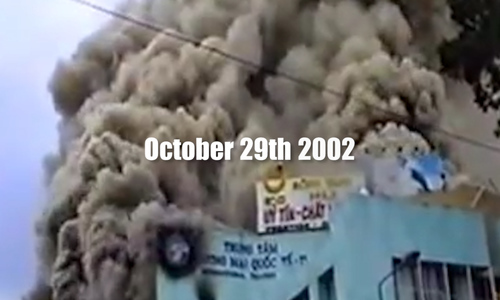 The ITC fire on October 29, 2002 was one of the deadliest peacetime disasters to hit Vietnam. The cause of the tragedy was identified as faulty welding in the Blue Disco. 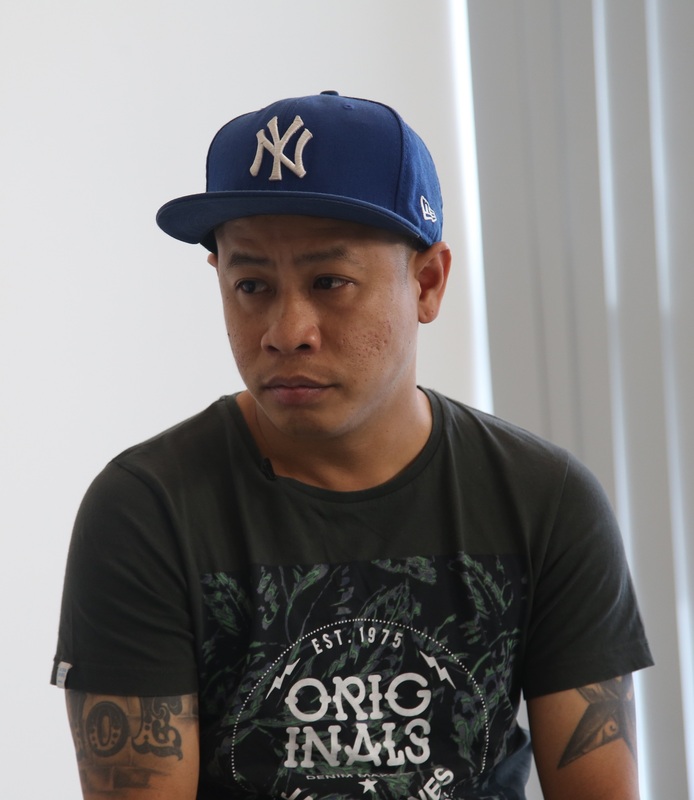 Two unskilled welders were charged, together with their employer and bar owner Paul Nguyen, with violating fire protection and prevention regulations, and were given between two and seven years in jail. 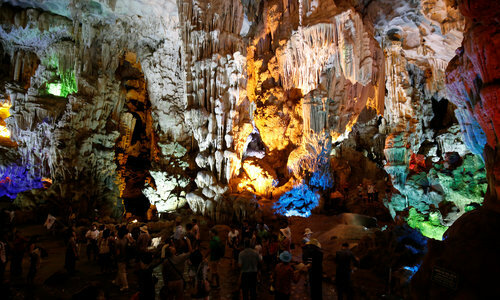 Policeman Nguyen Trung Dung, who was responsible for fire safety inspections in the area, was also arrested for negligence, but the charge was later dropped. He was accused of receiving VND500,000 ($33 at the time) as a bribe from the bar manager to turn a blind eye to the renovation work. The entire ITC block was eventually declared unsafe and demolished right after the fire, clearing the way for a giant parking lot before a new developer for the site is found. Seated inside his office just a few steps from the scene of the disaster 15 years ago, Gillin, the American businessman, pointed from his window at a newly-opened 18-story tower on Nam Ky Khoi Nghia Street.